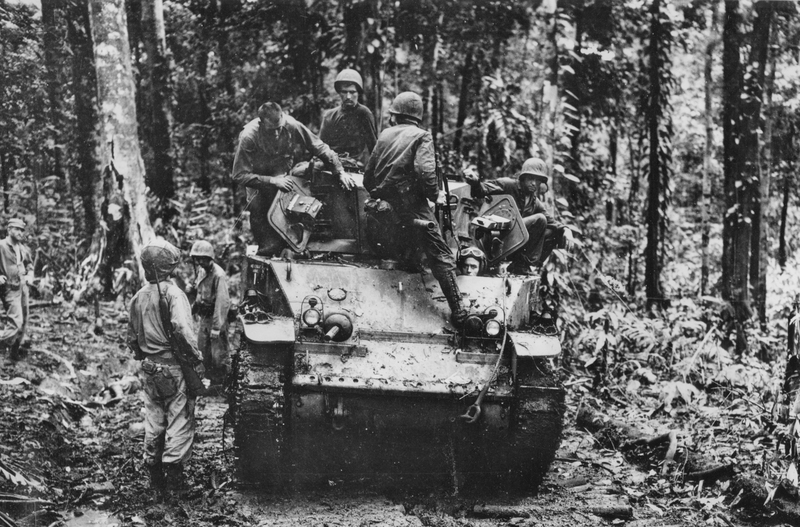 1st Marine Division M5 Stuart light tank crew taking a short break during the brutal fighting at Cape Gloucester, New Britain. January 16, 1944. 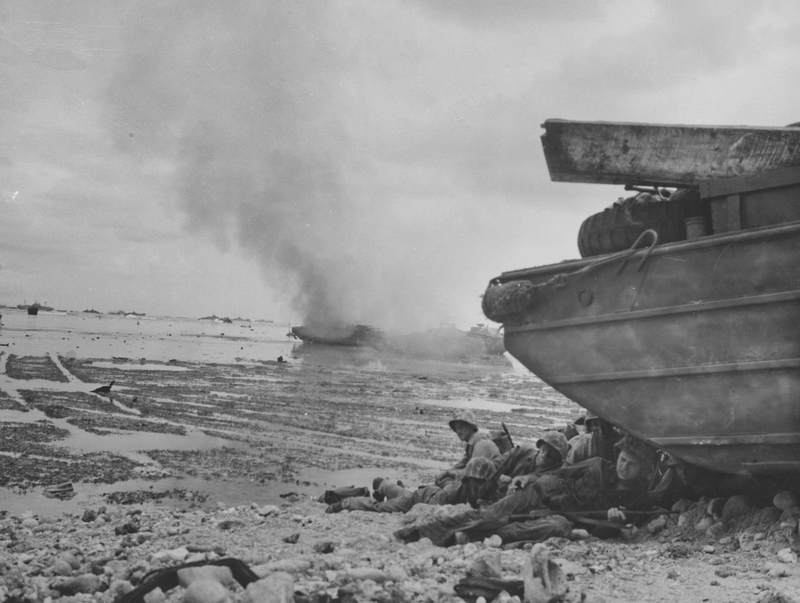 Men of the 1st Marine Division take cover behind a destroyed DUKW amphibious truck on the beach at Peleliu during the first day’s landings, September 15, 1944.